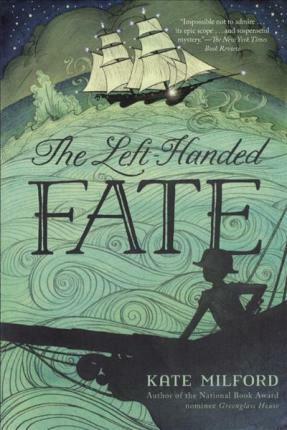 From Kate Milford, the bestselling author of National Book Award nominee Greenglass House, comes another magical, middle-grade adventure, The Left-Handed Fate. But Lucy and Max aren't the only ones trying to put the engine together, and if the pieces fall into the wrong hands, it could prove disastrous. Oliver is faced with a choice: help Lucy and Max and become a traitor to his country? Or follow orders and risk endangering that same country and many others at the same time not to mention his friends? "Give this one to fans of Trenton Lee Stewart's "The Mysterious Benedict Society."" "-School Library Journal"
Kate Milford is the author of The Boneshaker, The Broken Lands, The Kairos Mechanism, Bluecrowne, and Greenglass House, which was long-listed for the National Book Award. Originally from Annapolis, Maryland, Kate now lives in Brooklyn, New York, with her family. Eliza Wheeler grew up in northern Wisconsin in a family of artists, musicians, and teachers. Her picture book Miss Maple's Seeds debuted on the New York Times bestseller list. Eliza has illustrated several other children's books, including the Newbery Honor Book Doll Bones by Holly Black. She lives in Los Angeles with her husband.